DUNGARVAN: 2 CATTLE EGRETS still present, but south of Killongford Estuary, at Ballyharrahan (X247895) left of the road to Helvick; Dark-bellied Brent Goose again at CBS school field. RAM HEAD: Great Skua, 4 Red-throated Divers & 2 Fin Whales. Nr THE VEE: 4 Crossbills just south (on Waterford side). DUNGARVAN: At least 1 CATTLE EGRET still present near Killongford. TRAMORE BACKSTRAND (I-WeBS count): Totals included 906 Brent Geese, 22 Little Grebes, 355 Black-tailed Godwits, 346 Knot, a Long-tailed Duck, &, at boating lake, an adult Ring-billed Gull & 1st-winter Mediterranean Gull; also a Merlin. TRAMORE BAY: 3 Red-throated Divers. 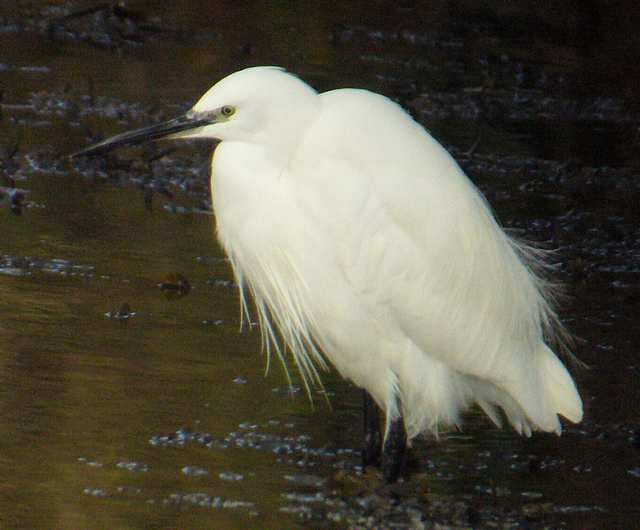 DUNGARVAN: *2 CATTLE EGRETS in fields north of Killongford Estuary; female Eider off Ballynacourty Pier; Merlin at Ballyneety; Dark-bellied Brent Goose at CBS school field. CLONEA STRAND: Whimbrel, 2 Purple Sandpipers & 7 Great Northern Divers. VILLIERSTOWN QUAY (lower Blackwater): Otter. TRAMORE BACKSTRAND: Green Sandpiper at Clohernagh, opposite Murphy's Bar; 53 Knot near the dump. DUNMORE EAST: 4 Red-throated Divers & 5 Purple Sandpipers. 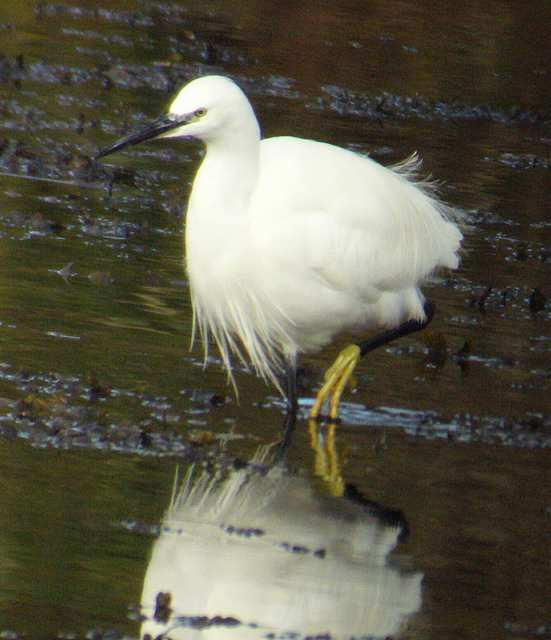 GARRARUS: *CATTLE EGRET (potentially 1st county record), present up to 2 January 2008. RAM HEAD: 10 Red-throated Divers, a Fin Whale & 60+ Common Dolphins. BALLYLEMON: Male Blackcap in garden; also Jays in Ballylemon Wood recently. BALLINVELLA (R. Bride): Water Rail & 2 Jays. BALLINVELLA (R. Bride): 2 Jays, a Blackcap & a Chiffchaff. DUNGARVAN (I-WeBS count): Totals included 1000+ Brent Geese, 31 Great Crested Grebes, 7 Red-throated & 3 Great Northern Divers; 7 Shoveler off the sports centre; Common Sandpiper at Barnawee. CLONEA STRAND: 11 Red-throated & 5 Great Northern Divers, 230 light-bellied Brent Geese & an adult dark-bellied Brent. DERRIGAL, nr Coolfin: Adult White-fronted Goose. BRICKEY RIVER, nr Dungarvan: Kingfisher, Dipper & Water Rail between Twomile & Knockmaon bridges. LOWER BLACKWATER area: 2 Otters fishing below Dromana House; 2 Hen Harriers, and a Common Seal resting on sandbank, at Newport; 200+ Whooper Swans at Camphire; large flock of Siskins at Ballyphilip East; several hundred Fieldfares & Redwings in an orchard at Bawnlaur. BLACKWATER CALLOWS: Male Shoveler & 20 Whooper Swans near the Towers, with large numbers of Wigeon, Teal & Black-tailed Godwit; Common Sandpiper at Ballyduff & 40-50 Whooper Swans west of Ballyduff. RAM HEAD: At least 2 Fin Whales, also 2 Porpoises and c150 Common Dolphins - see IWDG website article. DUNGARVAN: Kingfisher at Devonshire Bridge. BALLYRAFTER WOOD, LISMORE: Several Jays & an unseasonal Red Admiral. 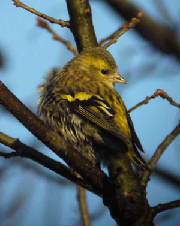 LISNAKILL CROSS (nr Kilmeaden): Brambling with large flock of Chaffinches. TOURIG ESTUARY (nr Youghal): Whimbrel on Waterford side. BALLYNACOURTY POINT: Merlin at lighthouse. DUNGARVAN: Common Sandpiper at Barnawee, 6 Shoveler off pitch & putt course. HELVICK HEAD: Merlin, Black Redstart & a Porpoise. COMERAGH/MONAVULLAGH MOUNTAINS: Red Grouse recorded at two locations in 10-km square S20 (tetrads S20X & S20Z) this month. WEST WATERFORD: Buzzard recorded at at least three locations. WHITING BAY: 2 adult Ring-billed Gulls, 4 Red-throated Divers & a Hen Harrier. 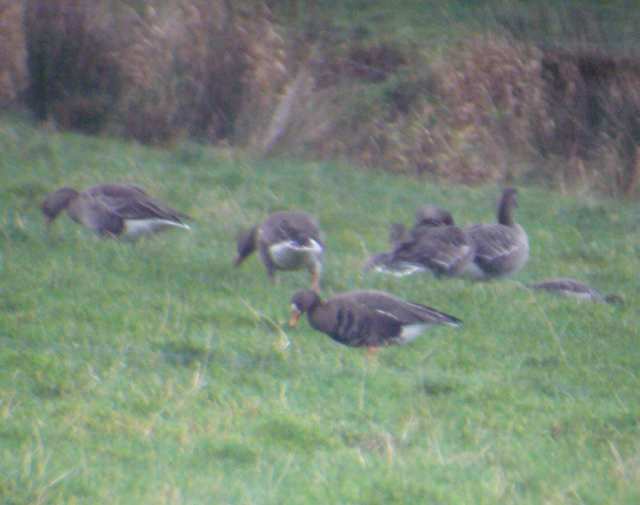 POULDREW, nr Coolfin: 200 Greylag Geese & a White-fronted Goose. RINCREW, nr Youghal: Chiffchaff [also adult & 2nd-winter Yellow-legged Gulls on Cork side]. TOURIG ESTUARY, nr Youghal: Juvenile *SPOTTED SANDPIPER still present near the new Youghal bypass bridge; mainly on Waterford bank. Also a Common Sandpiper in the same general area recently. DARRIGAL, nr Coolfin: 200 Greylag Geese. 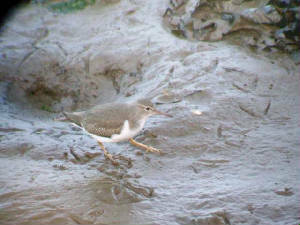 TOURIG ESTUARY, nr Youghal: Juvenile *SPOTTED SANDPIPER still present. DUNGARVAN (I-WeBS count): Totals included 1350+ (possibly 1580) Brent Geese, 230+ Shelduck, 4+ Shoveler, 24 Great Crested Grebes, 160+ Knot, 33 Greenshank, 4, a Common Sandpiper (at Ballyneety) & 2 Water Rails (at the Brickey estuary / Killongford). KNOCKMEALDOWN MOUNTAINS: 2 Red Grouse at Glentaunemon. DUNGARVAN: 7 adult Whooper Swans at Ballyneety (first site record? ), 2 Curlew Sandpipers opposite Park Hotel, 2 Common Sandpipers at Barnawee, & 11 Shoveler (3 ad males & a 1st-w male) off the pitch & putt course. CAMPHIRE (Bride/Blackwater confluence): 249 Whooper Swans & a single Greylag Goose. 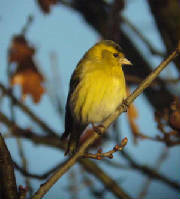 DEERPARK/KILLAHALY (nr Lismore): Flock of 95 Siskin feeding in alders. RAM HEAD: 3 Red-throated Divers, 4 Porpoises and a Rissos' Dolphin (see IWDG website). DUNGARVAN: 7 Shoveler (3 males) off pitch & putt course. BLACKWATER CALLOWS: 2 Shoveler (m + f). TEMPLEMICHAEL (lower Blackwater): Kingfisher & Common Sandpiper. 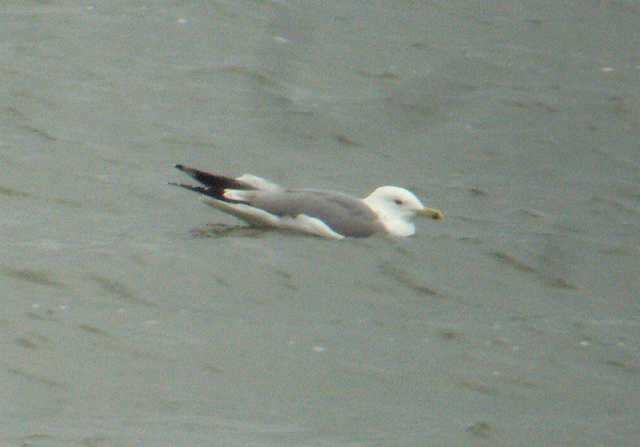 RINCREW (Tourig/Blackwater estuary): Yellow-legged Gull at Waterford side. COLLIGAN, nr Dungarvan: Hen Harrier flew over road. TOURIG ESTUARY, nr Youghal: Juvenile *SPOTTED SANDPIPER (2nd county record) near the new Youghal bypass bridge; mainly on Waterford bank. KNOCKADERRY RESERVOIR: 19 Whooper Swans. TRAMORE BAY: 405 Brent Geese at Rinneshark. BROWNSTOWN HEAD: Merlin & adult Mediterranean Gull. DUNGARVAN: Adult Yellow-legged Gull & juvenile/1st-winter Curlew Sandpiper at Ballyneety, Black Redstart at pitch & putt club, & a BLACK BRANT (present since October). BALLYVOONEY COVE: 2 Great Northern Divers. DUNABRATTIN BAY (Annestown/Boatstrand): 307 Herring & 163 Lesser Black-backed Gulls at night-roost. CAMPHIRE (nr Blackwater/Bride confluence): 202 Whooper Swans. BLACKWATER CALLOWS: Jay by the Towers near Lismore, & 26 Whooper Swans. DUNGARVAN: A harrier species flew north over the town. 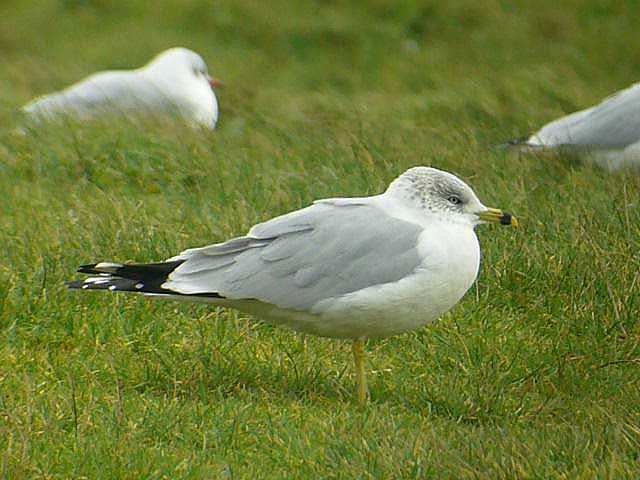 RINCREW (Tourig/Blackwater estuary): 560 Lesser Black-backed Gulls on the Co Waterford side. WHITING BAY: 4 Red-throated Divers. ARDOGINNA, nr Ardmore: 2 or 3 Tree Sparrows & a late Swallow. RAM HEAD: Great Northern Diver, 100+ Common Dolphins & 5 Porpoises. DUNGARVAN: 595 Brent Geese at the Cunnigar. WHITING BAY: A late (or wintering?) Whimbrel. RAM HEAD: Single Humpback, Fin & Minke Whales, c.100 Common Dolphins & 2 Porpoises - see article on IWDG website; also a Red-throated Diver and late Red Admiral. ARDMORE BAY: 5 Mediterranean Gulls (3 adults + 2 1st-winters), and an Otter c.1 km from the shore. Nr ARDMORE: 2 further Red Admirals. ARDMORE: Two Mediterranean Gulls (adult + 1st-winter) & a late Sandwich Tern.